People feel that the new breed of politicians in all parties are selfish, power hungry, greedy, dishonest hypocrites and power merchants for whom the nation comes last, says Dr Subhash C Kashyap, former secretary general Lok Sabha. The second column in a series as India celebrates the 60th anniversary of the first sitting of the Joint House of Parliament on May 13. It would be most appropriate to review the working of Parliament during the last 60 years. We may need to attempt a balance-sheet of the many achievements and failures of Parliament as the supreme representative institution of the people from the first to the 15th Lok Sabha. The first Parliament of India came into being on January 26, 1950 with the commencement of the Constitution and birth of the Republic. This was the provisional Parliament. The first Constitution amendment was passed during its life. In retrospect, one of the other significant events during the life of the provisional Parliament was the Mudgal case. It was an indication of the high standard that the Founding Fathers wanted to establish that when H G Mudgal, a Congress member, was found to have used his position as a member to further the interests of the Bombay Bullion Association for a consideration, Nehru himself moved for setting up a committee to enquire into the matter and Mudgal lost his membership. The first General Election under the Constitution was held in 1951-1952 and the bicameral Parliament with its two Houses -- the Lok Sabha and the Rajya Sabha -- was duly constituted. The first Lok Sabha (1952-1957) was constituted on April 17, 1952. Its first sitting was held on May 13, 1952. 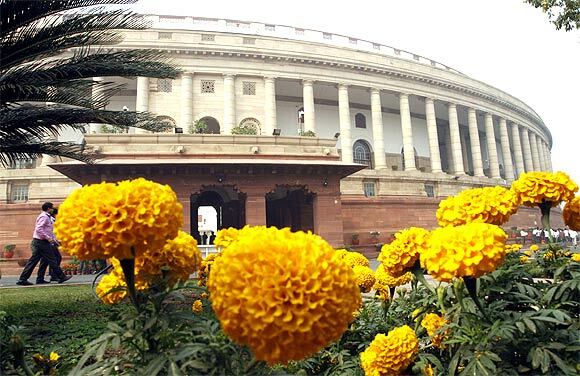 An overview of developments in Parliamentary institutions since the first Lok Sabha reveals some very interesting and some disturbing facts. The number of days on which the Houses of Parliament sit each year and the time that is devoted to transacting business has come down considerably in recent years. Even when they do meet, often little gets done. In the face of disturbances and shouting, the Houses have to be adjourned frequently. Even in Parliamentary circles now it is widely recognised that the ugly scenes of indecorous behaviour, indiscipline, pandemonia, etc lead to waste of precious Parliamentary time and loss of respect for the supreme representative institution of the people. The special sitting of Parliament held to mark the 50 years of Independence, unanimously adopted a resolution on September 1, 1997 pledging adherence to rules of decorum and discipline. But, in practice, nothing has changed. Parliament was conceived as the legislature or the law making body but of late, law making has ceased to be even the most important of its functions either qualitatively or quantitatively. From about 48 per cent, it has come down to occupy close to 20 per cent of its time. The character of Parliament has also changed as a result of changes in membership composition. In the early years, our Parliament could legitimately boast of having some very outstanding and accomplished parliamentarians who could do honour to any Parliament of the world. Once when a member drew the attention of Acharya J B Kriplani to the fact that he was criticising the Congress party which had attracted his own wife Sucheta Kriplani, the quick-witted Acharya retorted: 'All these years I thought Congressmen were stupid fools. I never knew they were gangsters too who ran away with other's wives'. The whole House roared with laughter. When Dr Ram Manohar Lohia was pleading for Stalin's daughter Svetlana being given asylum in India on the ground of her marriage with an Indian, the charming lady member, Tarkeshwari Sinha, interjected to say that when Dr Lohia was not married how could he talk of conjugal sentiments? Later, on one occasion, the heavyweight member Piloo Mody was accused of showing disrespect to the chair by speaking with his back towards the Speaker. Mody defended himself by saying, 'Sir, I have neither front, nor back, I am round.' Such wit and humour, late, have largely disappeared from the Houses of Parliament. Until 1977, for the first 30 years of Independence, the Congress remained the dominant party with an undisputed majority. Interestingly however, the Opposition while small in number was more effective and had greater impact in the earlier years. Perhaps, it was so because of the high quality and character of membership on both sides and largely because a stable government and secure leadership could show greater magnanimity and accommodate opposition viewpoints without losing face. Nehru laughed with the House and accepted Rajaji's amendment. Such gestures are hardly conceivable now. Attention needs to be drawn towards a distinct change in the content, canvas and culture of debates right from the first Lok Sabha days. In the earlier Lok Sabhas, there was much greater emphasis on discussion of national and international issues. Regional issues and local problems were left to be taken up in the state legislatures. People would flock to hear Nehru initiate debates on international situation, on foreign affairs, etc which were followed by high-level discussions from a national angle. It seems that gradually but increasingly more regional and even local problems are coming to acquire greater relevance and importance for our members. What perhaps may cause the greatest concern is not only the shift in emphasis but the fundamental change in approach and outlook. Sometimes it appears as if we are more and more looking at national problems from regional, communal, linguistic or otherwise parochial angles rather than the other way round. 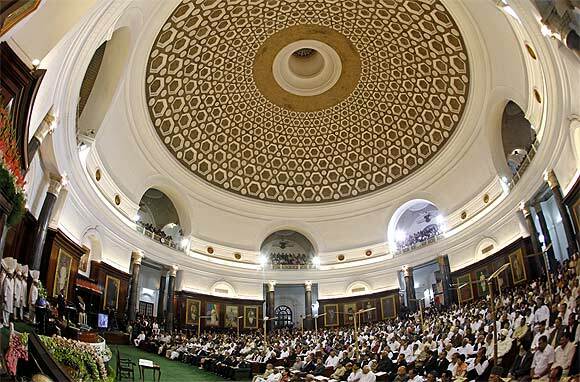 The representative democracy and parliamentary institutions have endured in India for five decades is a great tribute to their strength and resilience. There has, however, been in recent years quite some thinking and debate about the decline of Parliament, devaluation of Parliamentary authority, deterioration in the quality of members, poor levels of participation and the like. Today, one notices a certain cynicism towards Parliamentary instuitions and erosion in the respect for normal Parliamentary processes and Parliamentarians. We have an unending debate in regard to the falling standards in the conduct of legislators as evidence by poor quality of debates, niggardly attendance in the Houses of legislatures, unruly behaviour of members, scenes of pandemonia and the like. 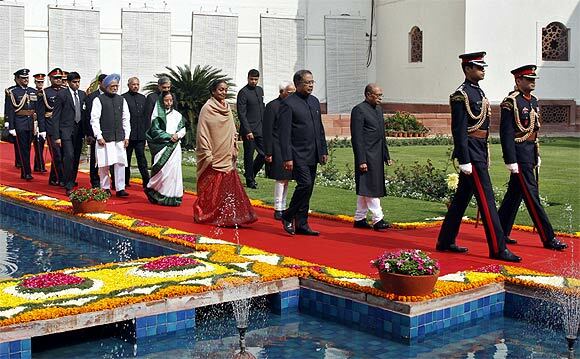 Once a Lok Sabha Speaker said he had to take aspirin tablets before taking the chair. Legislatures having members with criminal records, sale and purchase of legislators to obtain majority to stay in power or somehow come to power, mortgaging the interests of the nation and of future generations for self-interests in the business of power politics are the most common topics of popular discussion today. The people are aghast and, and what is worse, they feel helpless. 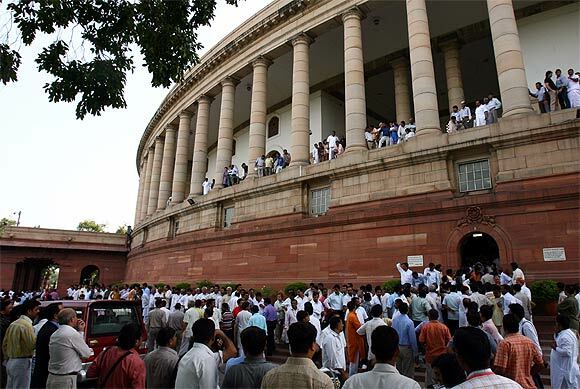 Bashing Parliament and Parliamentarians has become a fashion with self-proclaimed intellectuals. This has to be deprecated because other institutions have perhaps declined more. But, it is true that in Parliamentary polity, there can be nothing sadder or more dangerous than the representative credentials of the representatives, with some honourable exceptions, becoming suspect and an increasing alienation taking place between the people and their representatives with the representatives losing the respect of the people. Today, we are in a situation where sanctity of means has lost all value, meaning and relevance. If dacoits, smugglers, gangsters and foreign agents can help put us or sustain us in power, we are prepared to compromise with them. We do not hesitate to buy stability of our chairs by bribing fellow legislators. The people feel that the new breed of politicians in all parties are selfish, power hungry, greedy, dishonest hypocrites and power merchants for whom the nation comes last and the welfare of the people is at the bottom of priorities. Their only concern is to amass wealth and somehow get to and stay in power. They are so busy in the struggle for power that they have no time or energy left for serving the people. Dr Subhash C Kashyap is a former secretary general of the Lok Sabha and leading political scientist.